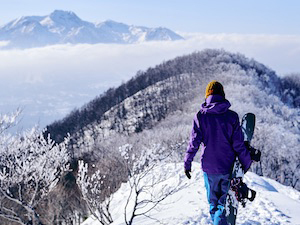 Autumn is only just starting, but here in Japan’s mountainous region winter will come sooner than you think. 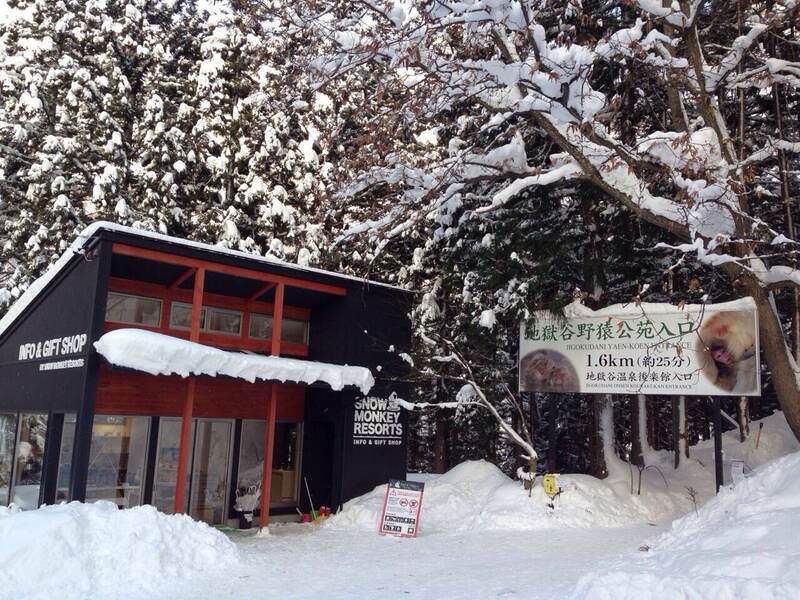 Some of you reading this might be in the process of planning your trip to the snow monkeys at Jigokudani. 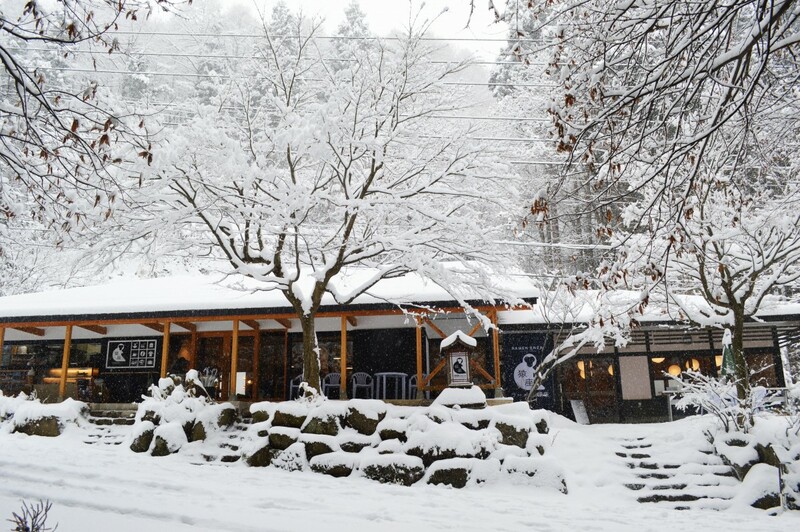 Here is what to expect when wanting to make a visit to the snow monkeys during winter. First thing to expect is, well, winter. This might seem like the overstatement of the year, but there are plenty of people who come to the Jigokudani Monkey Park expecting more or less the same weather conditions as Tokyo or Kyoto. But the snow monkey area is up in the mountains and it will be very cold, windy and snowy. 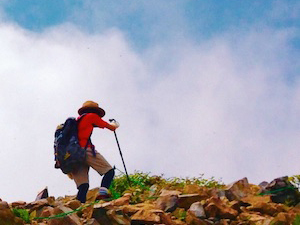 It’s best to expect rough walking terrain due to the snow. 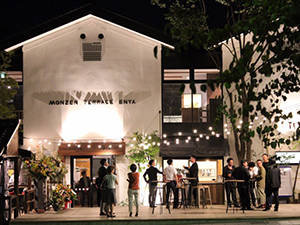 The coldness of the weather makes a hot chocolate or a ramen at ENZA Cafe is all the more tasty though. 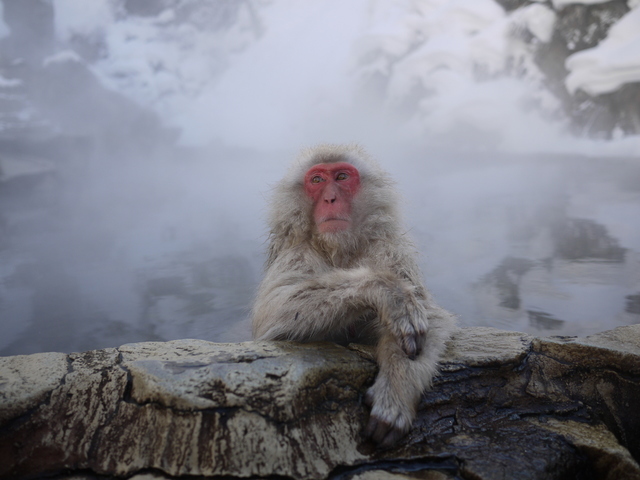 Now, as for the Japanese macaques, you can expect them bathing in the onsen. The babies, born last spring, will be taking their first bath. If you get lucky, you might just see a baby monkey giving the onsen a try for the first time. Enjoy seeing the family bond between the red-faced monkeys warming themselves from the cold. When you start looking more closely at the monkeys you might notice some interesting things about them, such as them putting their hands or feet on the side of the bath. 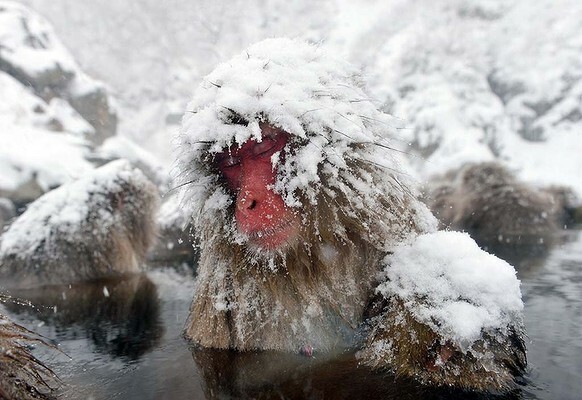 The reason for the snow monkeys to do so is that their sweat glands/heat receptors are mostly on the palms of their hands and feet. Meaning that if the water is too hot they just stick out their hands and feet, and cool down without leaving the bath – luxury at its best. 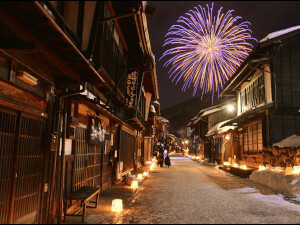 If you are planning to come to the Yamanouchi region, but want to see more than the snow monkeys, then there are a few options. 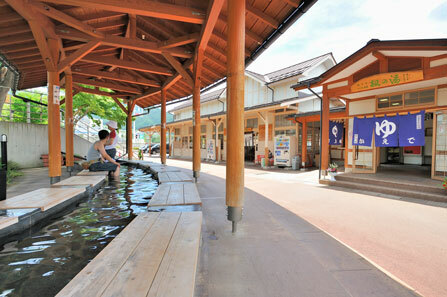 If you are interested in onsen, the Japanese hot springs, then right behind Yudanaka Station (pretty much the same building), there is Kaede no Yu. It offers both indoor baths as well as a free outdoor foot bath as show below. If you are more interested in an activity, then you could also choose to come on a tour with us! We have two tours running in winter, one of them a popular tour for some time called the 1 Day Snow Monkey, Zenko-ji Temple and Sake Tour. 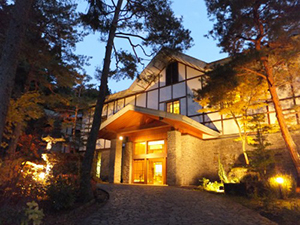 On this tour, we take you from Nagano Station to the snow monkeys, followed by a visit to Nagano’s Zenko-ji Temple and a sake brewery for a tasting. 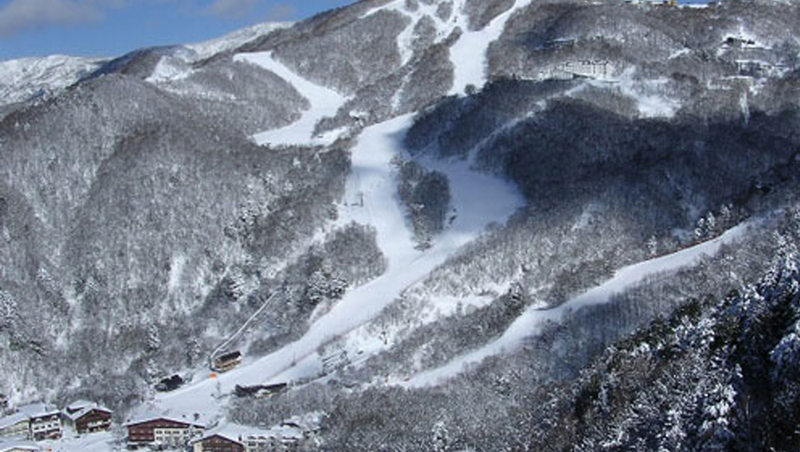 Another option in winter is our 1 Day Tour: Snow Monkeys & Snow Fun in Shiga Kogen. This tour is a new one where we take people on a exploration of the beautiful snowy mountain region. 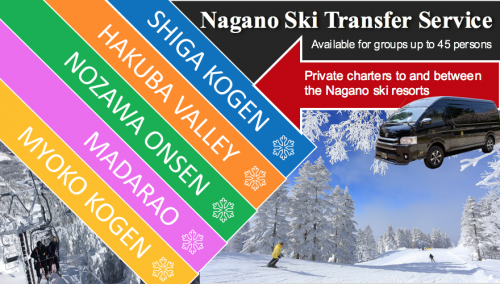 You will definitely get to enjoy the Japanese wintry nature in a unique way on this tour. One thing to be sure of is to wear layers of clothing and proper shoes/boots. 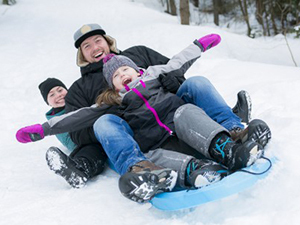 If you don’t happen to have any boots, then rental is possible over at the SNOW MONKEY RESORTS INFO & GIFT SHOP.